His Excellency, Dr. Olusegun Rahman Mimiko is the Executive Governor of Ondo State of the Federal Republic of Nigeria, Medical Practitioner, Politician and Philanthropist. Birth: Dr. Olusegun Rahman Mimiko was born on Saturday 3rd day of October 1954 in Ondo. Ondo State of Nigeria. 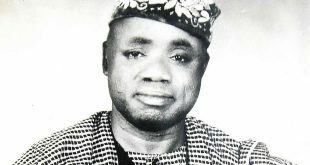 His father, late Pa Atiku Bamidele Mimiko was the son of late Pa Famimikomi son of late Chief Ruwase Akinmeji grandson of late High Chief Adaja Gbegbaje of Ondo. Dr. Olusegun Mimiko’s mother, Madam Muinat Mimiko (nee Ogunsulie) is a prominent daughter of the Ogunsulie family in Ondo Kingdom. Education: Dr. Olusegun Mimiko attended St. Joseph’s Primary School Aponmu near Akure, St. Patrick Primary School, Yaba at Ondo in the early 1960s, St. Joseph’s College, Ondo from 1966-1971, HSC Student at Gboluji Grammar School, Ile-Oluji from 1971-1972 and University of Ife (now Obafemi Awolowo University) from 1972-1976 and Graduated in 1976 with B.Sc Health Science degree, the MB; CH.B (Bachelor of Medicine, Bachelor of Surgery) in 1980. 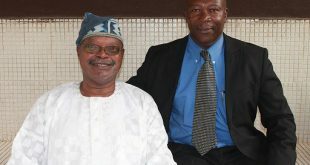 Medical Career: Dr. Olusegun Mimiko started working as a House Officer with Ondo State Health Management Board 1980-1981, The Nigeria Naval College (NNS Onura), Onne, Port Harcourt 1981-1982, Medical Officer with Ondo State Health Management Board at General (now State Specialists) Hospital at Ondo from 1982, Medical Officer at Apagun Clinic, Yaba and Acting Medical Director at Alleluyah Hospital, Oshodi from 1983-1984 both in Lagos State and set up his own private Medical Practice MONA MEDI-CLINICS in 1985 with headquarters at Ondo town, Ondo State. Contested the April 2007 Gubernatorial Election of Ondo State under the platform of Labour Party of Nigeria. 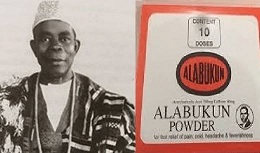 Although, His mandate was stolen by Peoples Democratic Party and reclaimed it through high powered legal tussle for almost two years with subsequent judgment delivered in his favour by the Ondo State Election Petition Tribunal, July 2008 and Court of Appeal, February 2009 sitting in Benin, Edo State of the Federal Republic of Nigeria. Dr. Olusegun Mimiko authored many research and published articles on Medicine, International Relations, Social & Political Developmental Strategies. John F. Kennedy Essay (School Level) 1971. Dr. Olusegun Mimiko is happily married to Her Excellency Mrs Olukemi Mimiko, a French Language graduate of Obafemi Awolowo University, Ile Ife, Osun State and First Lady of Ondo State of the Federal Republic of Nigeria. God blessed their marriage with many Children. 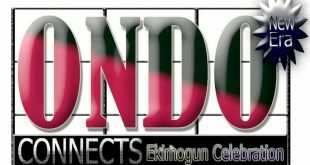 Editorial Board Team, Ekimogun Descendant United Kingdom & Northern Ireland.